Combine vinegar, water, sugar and salt in a medium bowl. Whisk together until sugar and salt is fully dissolved. Place onion in a mason jar. 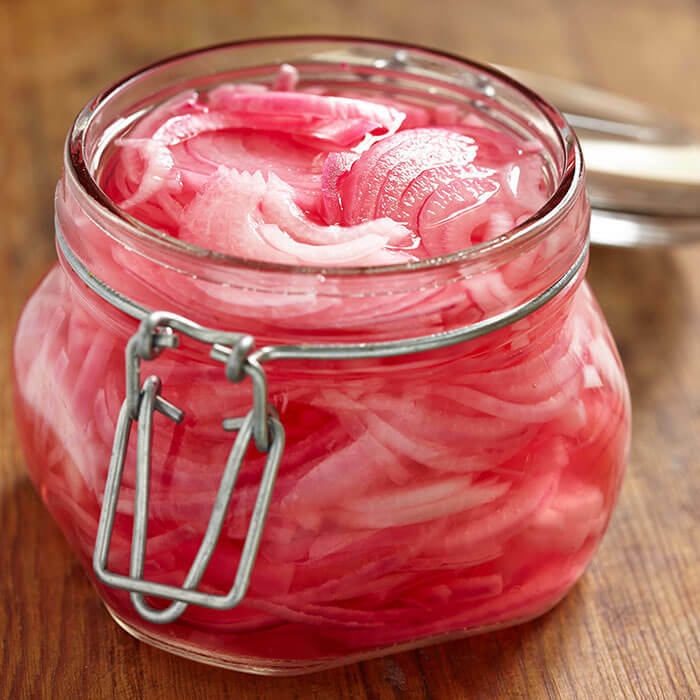 Pour vinegar mixture over the onions and let sit at room temperature for at least 1 hour (only if you are in a rush). It is preferred you let them sit for a day. Store in your refrigerator in a covered bowl or Ball Jar.